During a time when women were scorned in the workforce and expected to stay at home, one woman, Nellie Bly, was paving her way into becoming one of the greatest reporters of all time. Nellie Bly, or birth name Elizabeth Cochran, started her career as a writer for the Pittsburgh Dispatch in Pittsburgh, Pennsylvania. Her pen name “Nellie Bly,” was established here. For the Pittsburgh Dispatch, Bly wrote a lot about women’s rights and she also did a lot of small under-cover work, or investigative reporting. In fact, this is where Bly was believed to have pioneered investigative reporting. After a series of under-cover reporting for the Pittsburgh Dispatch, Bly was determined to move on to bigger and greater things. She eventually moved to New York City and started writing for Joseph Pulitzers, The World. One of Bly’s bigger investigative reporting tasks at The World was to check herself into the Blackwell’s Island insane asylum in 1887, in hopes of exposing any wrongdoings at this establishment. After spending a lot of time at the asylum, Bly had fully succeeded in uncovering many shocking wrongdoings to the asylum’s patients. Towards the end of her career, Nellie Bly took on another big project for The World. In order to prove she had equal capabilities as men, Bly convinced The World editors to allow her the task of beating the record of going around the world in 80 days. Bly conquered her goal, and went around the world in only 72 days. Her travel experiences were published daily in The World, and were very popular. Bly’s name had truly become well known in society. 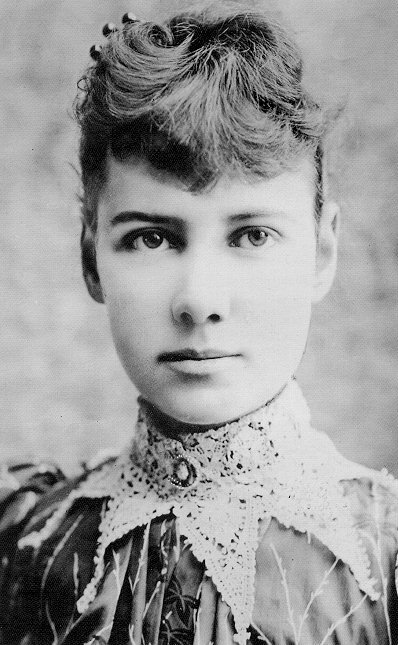 Nellie Bly’s role in investigative reporting brought journalism to new heights. After her death in 1922, The World published a statement saying that Nellie Bly was “THE BEST REPORTER IN THE WORLD.” And as we see today, her legacy still remains.